Dr Julie Crews is a Lecturer in the School of Business and Law. Julie commenced her career in education and her experience has included urban, rural, interstate and overseas appointments. During her career, Julie held various leadership roles including Deputy Principal, District Professional Development Manager and Facilitator for the professional development of teachers. A career in the public sector followed as a senior labour relations and small business advisor in the State Government. Over the next several years, Julie held various positions across both state and federal government agencies, including the Australian Consumer and Competition Commission, The Office of the Auditor General, The Department of the Premier and Cabinet, The Office of E-Government and The Office for Women's Policy. Julie's area of passion is the development of leaders with integrity. Her doctoral thesis is in the area of ethics and leadership. Before being appointed to ECU, Julie taught Human Resource Management and Industrial Relations at the University of Western Australia, Management and Business Communication at Curtin University and has been a Regional Advisor for the Australian Public Service Commission. Doctor of Business Administration`, Curtin University of Technology, 2012. Master of Industrial Relations, The University of Western Australia, 1996. Bachelor of Arts, The University of Western Australia, 1993. 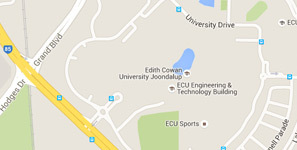 Bachelor of Education, Edith Cowan University, 1980. Diploma of Teaching, Churchland Teachers College, 1975. Crews, J., Parker, J., (2017), The Cambodian experience: Exploring university students' perspectives for online learning. Issues in Educational Research, 27(4), 697-719, Rockingham, Australia, Western Australian Institute for Educational Research Inc..
Crews, J., (2016), Leadership values: Perspectives of senior executives in Sri Lanka. South Asian Journal of Management, 23(3), 193-209, India. Crews, J., (2016), The nature and management of ethical dilemmas: The experiences of Australian senior executives. Journal of Contemporary Issues in Business Research, 5(4), 68-91, Pakistan, Institute of Contemporary Business Research. Crews, J., (2015), What is an ethical leader? The characteristics of ethical leadership from the perceptions held by Australian senior executives. Journal of Business and Management, 21(1), 29-57, Orange, USA, Chapman University. Crews, J., (2016), The Management of Ethical Dilemmas by Australian Executives: Is what’s said and what’s done aligned?. Proceedings of Annual Australian Business and Social Science Research Conference, 16p., Melbourne, Victoria, Australian Social Sciences and Business Research Institute.